Question: Thank you for the possibility to do another Q&A session. May we concentrate on the questions about the two major new cycles, “The Primordial Space of Samantabhadra” and the “All-pervading and Piercing Energy of the Dakinis”? Lama Ivo: Yes, we can try. Question: OK. First of all, can you tell how long have these teachings been appearing and accumulating with you and how many distinctive texts, practices… I don’t actually know what is there. What is the scope and volume of these transmissions? Lama Ivo: Well, this has been going on for more than 10 years, and it went through several distinct phases. Right now I am sharing with some dharma friends only what has been coming during the past 4 years, and what has been publicly shared is nothing compared with what already exists. The scope is vast, the volume… I am not keeping count of the exact volume, but in written form we are talking about probably thousands of pages. Question: Thousands?? Are these teachings, sadhanas? Lama Ivo: Root tantras, explanatory tantras, initiation texts, sadhanas, supportive instructions, commentaries concerning a vast array of methods, spanning from yidam and yogic practices and the many facets of Dzogchen practice to dances, healing methods, divination methods, and even a number of mundane magic practices. Other things too. The scope is still difficult for me to encompass, let alone for others. Question: When are we going to see these things? Lama Ivo: I don’t know still if this will happen. Many of these things are for beings with very high capacity and I don’t think there are many human practitioners who can benefit at this time. But who knows. We will wait and see. Question: Is there any system to all these transmissions? Like a gradual path or something. Lama Ivo: Yes, the transmissions are distinct and are grouped, as you know, in two major cycles. Within these cycles however are sub-cycles, some of which are very well structured, with preliminary teachings and practices, various phases of main practices and everything necessary. Other methods are independent and self-contained. There are paths for practitioners with different dispositions, etc. Question: Why then do you say that there are no suitable recipients for all of this? Lama Ivo: I didn’t say that there are no recipients for all of this. I said that there do not seem to be many human recipients for part of the transmissions. And, even those methods which should be suitable for practice sometimes turn out to be over the head of those who start to do them. It is an organically evolving process. We are all learning as we go along, and I am learning what to share and what to keep. Question: But why then are these things given at this time? Lama Ivo: I still don’t have a definite answer to that. I am not sure, and I am a victim of this situation too, you know. But there are of course many, many teachings and whole cycles of practices which are very much within the grasp of serious practitioners. Only a very minuscule portion of these have been disseminated at this point, so there is a lot of potential. Question: Maybe those who have been practicing Vajrayana within the Tibetan tradition for many years can benefit from some of these teachings? Lama Ivo: Well yes… but they are very conditioned and afraid to associate with all this. And I understand them, I know that I would have been very skeptical myself if I heard about something like this 15 years ago. Probably I wouldn’t have the courage to touch it with a long pole. And I would have made a mistake. Question: But you very recently published a text aimed at such practitioners. It is a wonderful and very deep teaching. This means that you believe in them. Lama Ivo: Not necessarily. I do believe in the human potential. But the “Rainbow Reflections in the Dewdrops” was published publicly because it was given by Guru Rinpoche for this purpose. In the past months I have been contacted with requests for teachings by a number of individuals who have been studying with some major Tibetan lamas for decades. Something is happening there, and probably this is why this teaching appeared. But from the feedback I receive, it seems that even this teaching is too much too soon, and it is supposed to be one of the easy ones. The root text contains some very deep points which remain hidden for most people, and the commentary which is supposed to help can make things more difficult for the inexperienced, because it contains too much information and many more special instructions in a very condensed and pithy form. It needs it’s own commentary. Still, it seems that this teaching is helping a number of people to reach a completely new level in their practice, and I am very happy for them. Question: This teaching carries the date of November 2-nd. It has been published the next day. Isn’t this unusual? Why? Lama Ivo: Yes, it has been published immediately, as this was the instruction I received. It is quite unusual, but it is actually nice. These teachings carry tremendous energy the moment they appear. It is very fortunate that people manage to connect with something of this nature right away. It is wonderful. Question: Will you publish the commentary? Lama Ivo: No. I am giving it to all serious practitioners who request it. 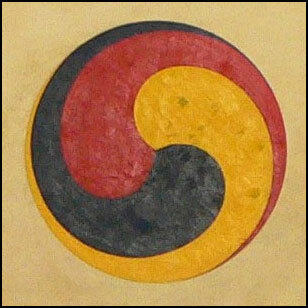 It contains some specific Dzogchen instructions and is not suitable for general publication. Question: OK. What is the difference between the two major cycles – the one given by Guru Rinpoche, and the one of Dorje Yudronma? Lama Ivo: The PSS cycle of Guru Rinpoche has a more open nature and contains a wider spectrum of teachings and practices, in the sense that there are things for everyone there. Many, many things. The teachings of the dakinis on the other hand are mostly suitable for people who have vast Vajrayana experience and a history of pure samaya, not only from this life. The mood of the two cycles is very different, but it is difficult for me to explain in details. Both cycles of teachings are equally profound. Question: Do you plan to give longer public teachings on any of these cycles? Lama Ivo: Right now I give bigger teachings and initiations only when people come with specific needs. I don’t see myself at this point in the role of a teacher who bestows teachings for whomever comes. I don’t believe in this approach at all. I prefer to work with individuals. The public side of what I do is the internet. There is not much there and it is enough for now. Question: Do you think that your approach might change? Lama Ivo: My approach is changing all the time, I am going with the flow. I have changed so many things in my life already and I am not afraid of change. It all depends on whether benefit can arise. Question: Is there any special purpose to the new meditation center the community built in the jungle? Lama Ivo: It is a place which is very suitable for Dzogchen practice. It is well isolated and things can be done there which are not suitable for more urban areas. We intend to use it for this purpose. Question: That’s nice! Let’s hope this happens. Question: Generally, what would you advise Tibetan Dharma practitioners who find it difficult to trust the new transmissions? Lama Ivo: This is not a big problem for me and I don’t know if I should advise them anything, they have their own teachers to listen to. But I do find it funny that so many people are praying to Guru Rinpoche daily, and at the same time are so close-minded that they deny his ongoing activity. This never stops to amuse me. These same people do dharmapala pujas and rely on the dharma protectors, but at the same time they somehow think that it is possible for false Dzogchen transmissions to be disseminated freely without the Dharmapalas’ blessings. This shows a fundamental lack of understanding and some very shallow dharma practice, to put it mildly. We may be in the final period in many respects, but this does not concern the Dzogchen transmission, which is uninterrupted and actually has very little to do with this small pathetic planet. To deny the possibility of new transmissions is to remove the basis of all Dharma practice. It is that simple. Question: Interesting. Are such reactions unexpected for you? Lama Ivo: No. But it is still amusing, and sad at the same time. However, if these new teachings serve to show the lack of true devotion in some “experienced” practitioners, this may still be good enough. It may still bring them benefit. Question: But it will be a tremendous waste of opportunity for the ones who do not find the courage to connect and use them. Lama Ivo: Maybe so, but there are always beings with good connection and besides, nothing is ever wasted. Question: Yes that is optimistic. We have to stop for now. Thank you for your time.